These rules are not meant to take opportunity away from gear fisherman. Labels: Bitching, Internet Whining, Olympic Peninsula, Wild. I absolutely despaired of the attitudes I witnessed when I fished out there. I thought it was bad in Michigan, but the entitled, whiny, ignorant bitching I witnessed out there was off the charts. You have so much more at stake out there. I think stocking has to be about the worst thing that has ever happened to fisheries in North America, if for no other reason than the sense of entitlement and utter disregard for the well-being of native fish and watersheds it produced. Stay strong out there. Wow. Crazy people out there! I think the gear gays exhibit more homosexual tendencies than the fly fags, given their fascination with gaudy, bright color schemes and lots of shiny metal bling. Not that there's anything wrong with that...what is wrong is the number of times I've had conversations with gear gays who reveal their ignorance by claiming if there was any scientific evidence that hatcheries harm wild fish, they would convert to becoming wild fish advocates instantaneously. Last I checked, there were at least 50 papers detailing the specific ways that hatchery fish ruin the fun for wild fish and every one else. Apparently, not one of the falsely opened minded gear folks have seen even one out of these 50 papers. I gear fish. I supported all of these proposals 100% from the get go. The whining and sniveling, misinformation, and finger pointing from both camps (fly vs. Gear) was horrendous. The split between all anglers is something I just can't wrap my head around. I got involved long ago. I am thrilled that the proposed rules passed. Its a win. 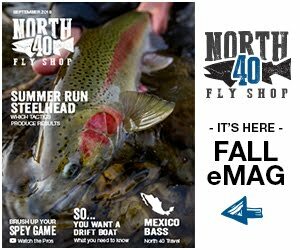 A big win for the Wild Steelhead. 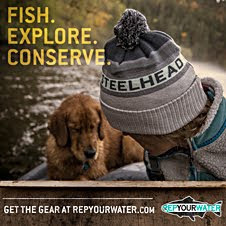 Either get on board now, or watch ALL steelhead fishing go away with them being placed on rhe ESL. Gear article! Personally just fine, if not happy with all but one: fishing from a floating device on upper Hoh. Frankly, the water in question should have simply been closef period Feb. 28. That gives the fish sanctuary... plain and simple. It will now be busier than ever through that stretch with the thought of no boats, even though few that are very familiar with that area typically spent too much time up there in the second half of the season. I lived for a year or so near Seattle, and had the fantastic opportunity to fish the Stillaguamish near Deer Creek, pre-mudslide. 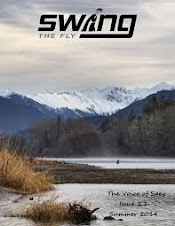 Those hallowed steelhead sparked a fly obsession that burns brightly in my heart to this day. Doing what it takes to protect other runs from our arrogance will never be a popular road, and will only get harder as the years go by. Sportsmen, whether fly or gear, might learn too late that they bickered about two sides of the same coin for too long to make a difference.